I saw this movie some time ago but I liked it so much that I had to share it with you people! The Intouchables is a wonderful heartwarming comedy about friendship, trust and internal confilicts, that brings together two men from totally different worlds: Phillipe,an invalid rich man who has to struggle not only with his disability, but also with the death of his beloved wife, and Driss, an ex convict whose only interest is to get a signature that will guarantee him free financial support from the government. However, Phillipe decides not let him go, believing that Driss is exactly the person he needs in his life right now. Someone who will treat him like a normal person and will not look down on him with pity. I will not reveal more about the story, hoping that I made curious enough to give it a try. However, I will say that the actors make and excellent work portraying this characters and the soundtrack is incredibly beautiful. 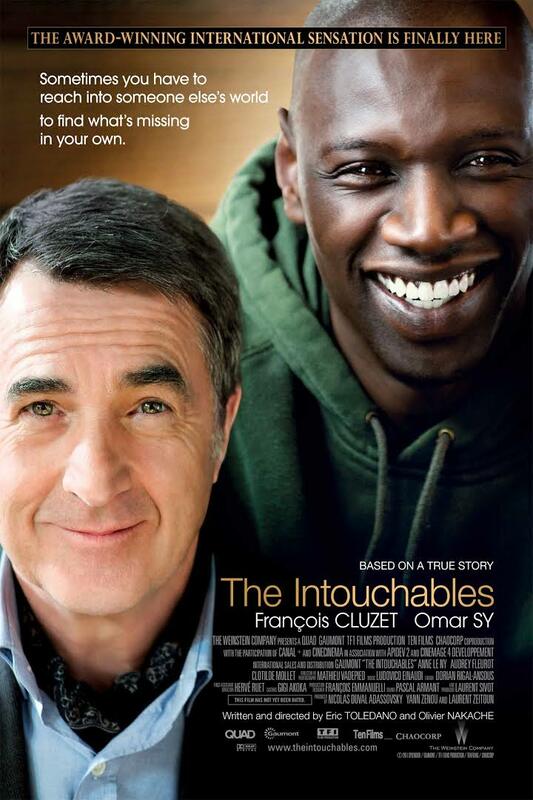 The Intouchables is a marvellous adventure (based on a real story) that teaches you that no matter how hard life gets there’s always a reason to smile and enjoy it. Remember: It’s all about being happy, people!